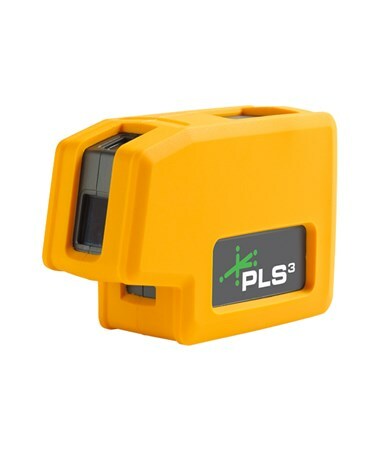 Ideal for long-range applications, the Pacific Laser Systems PLS3 G Point Laser Level features a green laser which is three times brighter and more visible than red beam lasers. 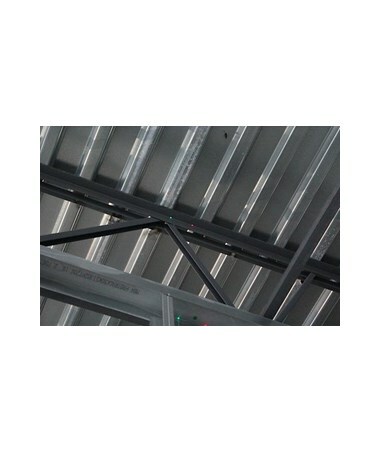 Automatically self-leveling within ±6 degrees, it has a range of up to 100 feet. 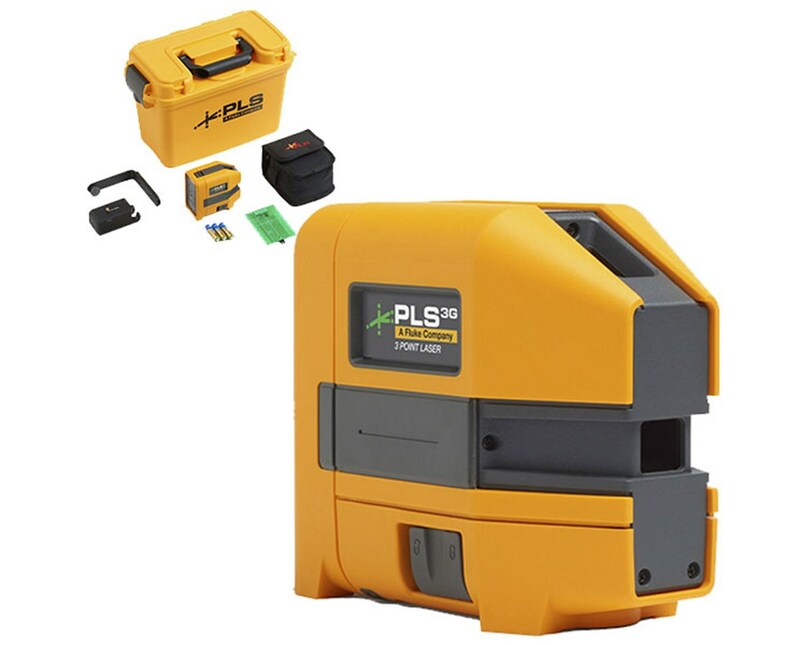 For precise leveling and alignment, the PLS3 G offers an accuracy of ±1/4 inch at 100 feet. 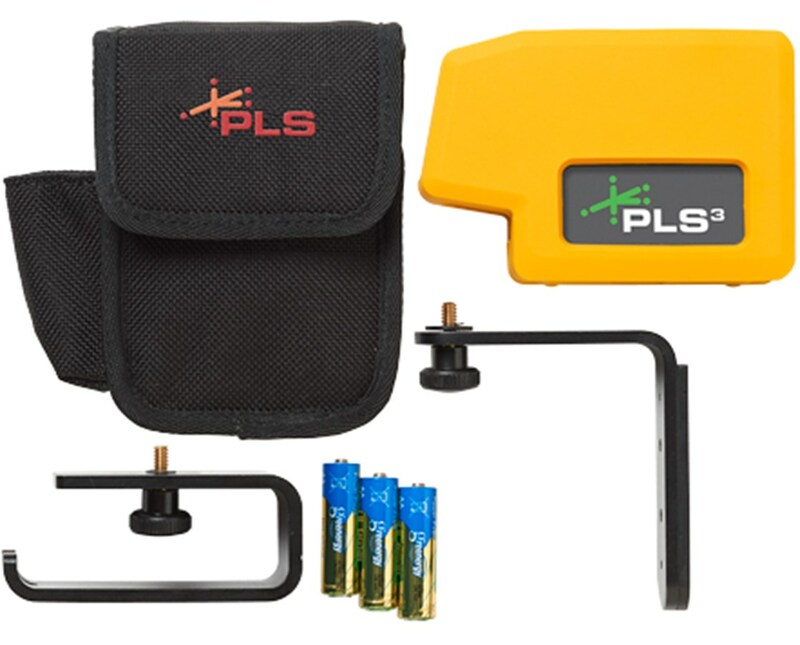 This PLS green laser level features a magnetic dampening technology that dismisses the interference made by slight movements. 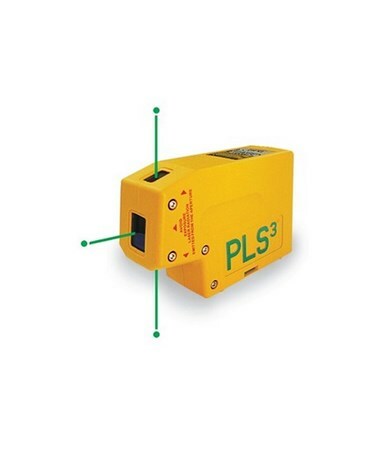 It produces three laser beams - two plumb and one horizontal laser point that ensures a clear view. Also, it uses a semiconductor laser diode light source. 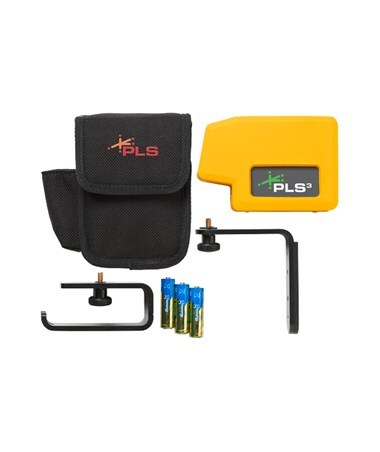 Featuring a rugged design, this construction green laser can survive a drop of up to three feet. Using three AA batteries, it works up to 10 to 12 hours of continuous use. Plus, it has a 1/4"-20 tripod thread and weighs only 0.728 pounds.